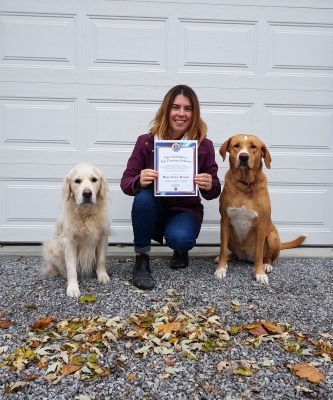 Canine CPR & First Aid Certified through DogGuru. 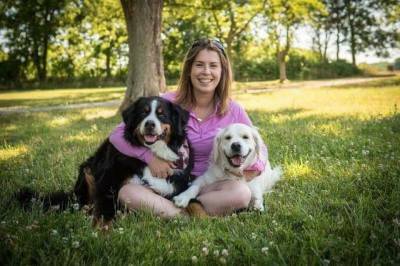 Jessye Disher has many years experience competing in agility, walking & training dogs and pet sitting throughout Niagara. 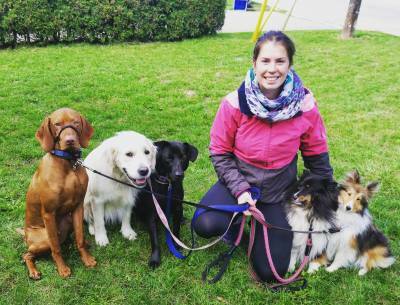 We offer new dog walking clients a FREE 30 Minute Meet & Greet with you & your pup to make sure The Perfect Pack is the right fit for you! Silver medalist for the CHCH Business Excellence Awards under the "Dog Trainer" category. Life is better in a pack. 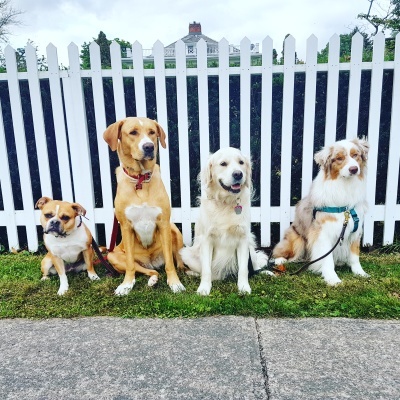 The Perfect Pack offers professional and experienced care for your pup with a Certified Dog Trainer & Walker! 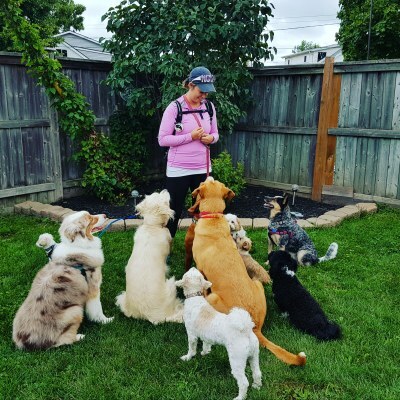 The exposure, structure, and positive energy we provide creates a welcoming and healthy environment, which allows your dog to flourish and develop positive behaviours. A release of excess energy using structure and consistency. Helps reduce destructive behaviour due to poor manners and boredom (examples: using the indoors as a bathroom, barking, chewing, etc). 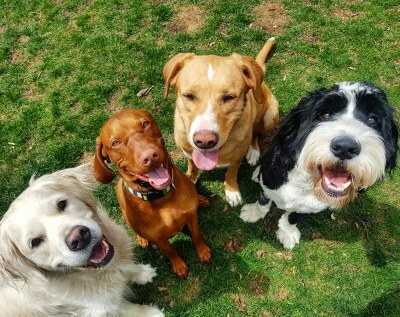 On average, most dogs need at least an hour of daily exercise to keep them physically and mentally healthy/happy. 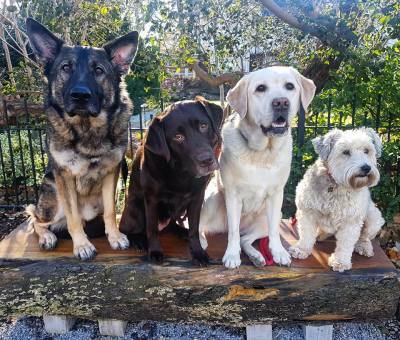 Strengthens positive behaviours and manners, while working on their basic obedience. Helps with digestive upsets and regularity, as well as obesity, and mobility for geriatric clients. Stimulates your pups key senses (see, smell, feel, hear). 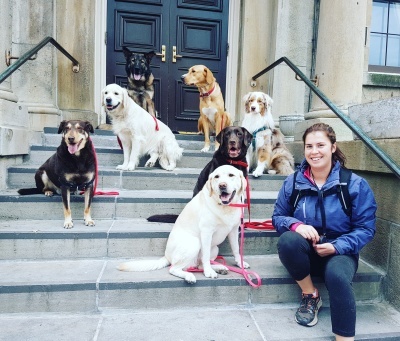 Pack walks encourage your pup to engage in instinctual pack behaviours, which helps them relax and learn quicker. 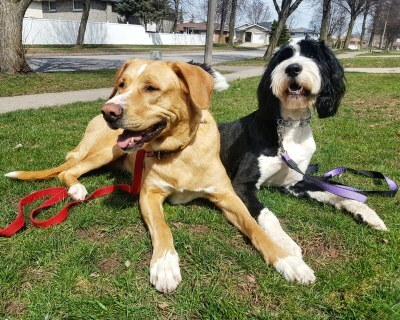 Dogs learn through eachother by using energy and body language. 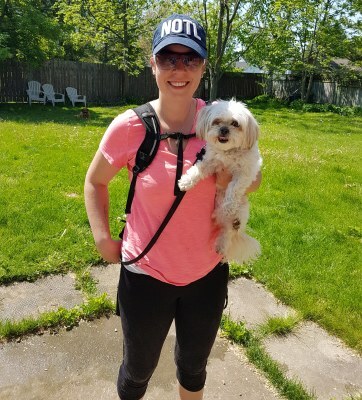 How will dog walking benefit my dog? 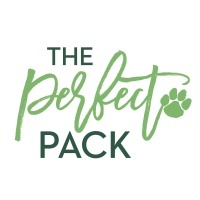 By joining The Perfect Pack, your pup will feel a sense of fulfillment!